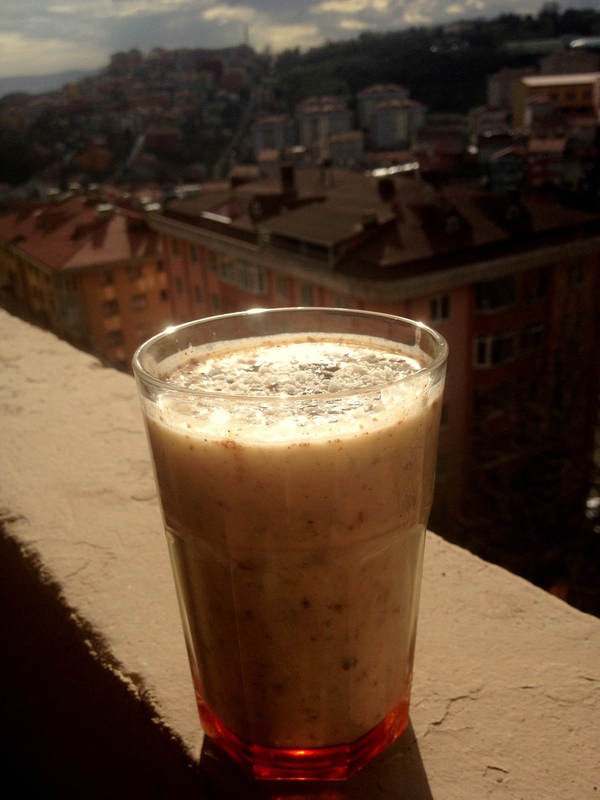 Another sunny breakfast I had a while ago here in Istanbul. No actual recipe to share with you for this breaky but it was too good not to share. 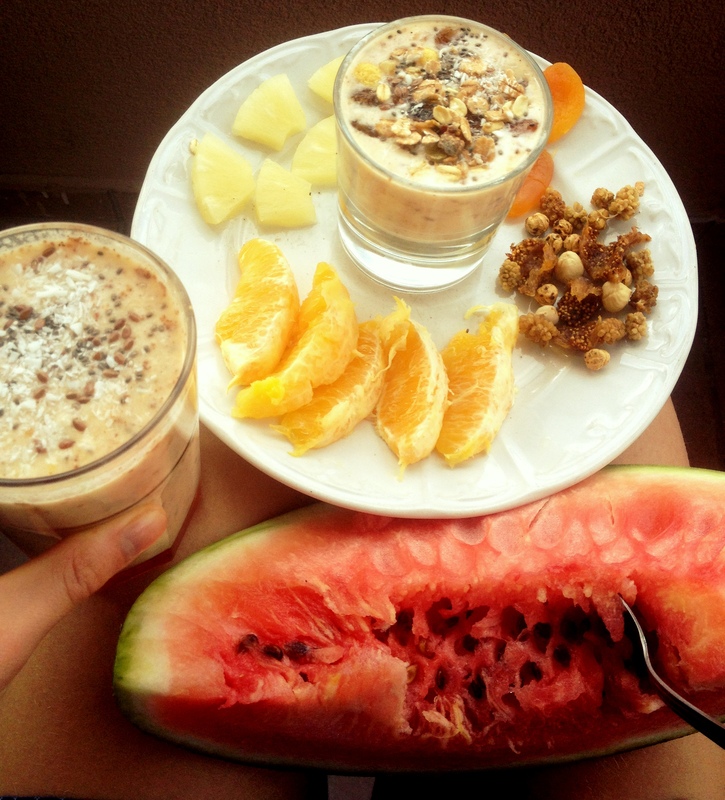 I made a smoothie of some orange, pineapple, watermelon, coconut milk, oats, yogurt, soyamilk, chiaseeds, flaxseeds, grated coconut and some cinnamon. 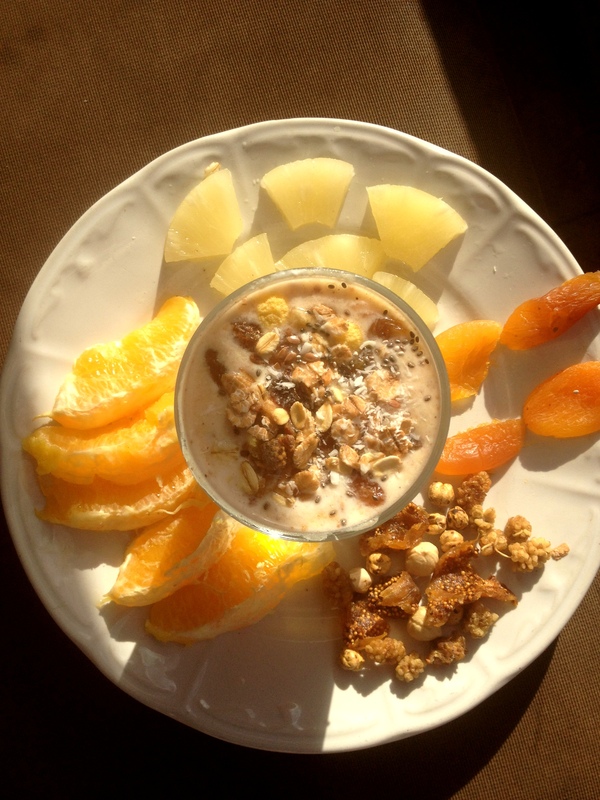 I mixed the leftover of the smoothie with some more yogurt and granola and had that with some more of the fruit, nuts, dried apricot, a dried fig and mulberries. Sorry hoor, maar schrijf jij dit allemaal? Hoe gaaf is dat?! Tof om te lezen en goed voedsel is superbelangrijk! Voor mijn vak (concert /studio drummen) een must om constant in the flow te kunnen blijven, focus houden en energie strak en constant houden. Ik ben zelf een hobby-kok, but I take it seriously…. 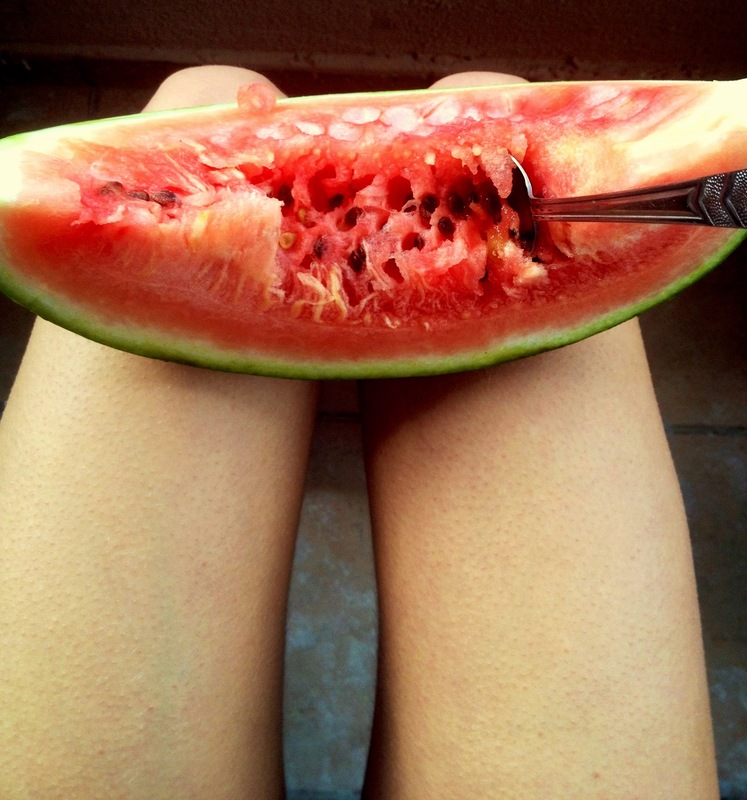 “You are what you eat” kan ik me helemaal mee vinden….